Gaming Smartphones have started becoming a trend now due to the huge market for mobile games. Brands like Razer, Xiaomi and even Huawei introduced their take of what a Gaming Smartphone should be. However, this coming October 28, one of the most awaited Gaming Smartphone will be formally launched here in the Philippines. We were lucky to be one of the few to see first the ROG Phone here in the Philippines and today we will share that amazing encounter with you. 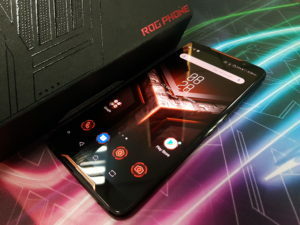 ROG is known to have a very aggressive design on their laptop, desktop, peripherals and the ROG Phone isn't an exception. Starting from the box to the phone itself it, it screams "GAMING". 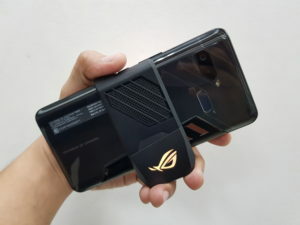 Now looking at the ROG Phone, we can say that it is a mobile gamer's dream phone. You have a 6” 18:9 AMOLED Display which has 90Hz Refresh Rate and 1ms Response Time. To provide you a more immersive audio experience, ROG provided 2 front firing speakers in an orange color which gives more aesthetics to this device. At the rear, normally what will catch our attention is the camera, how many and how it is positioned. However, with this smartphone, the first thing we notice is the ROG Logo, which you can be customized. In addition, we see an odd trapezoid shaped fingerprint sensor besides the camera. To differentiate this smartphone to a regular one is the cooling system. 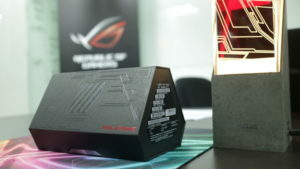 ASUS has attached their own cooling device that they call the 3D Vapor Cooling System. This reduces the heat while gaming. 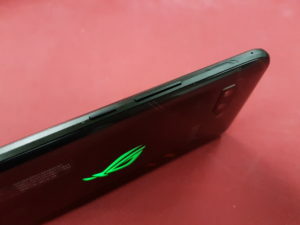 The ROG Phone might be a gaming phone but it also has a dual camera which in papers are the same camera with the ASUS Zenfone 5 and Zenfone 5Z, with the main being powered by a Sony IMX 363 sensor. On the bottom part is the usual Type C and yes it still has a 3.5 mm audio port. On the right side of the device are the usual power and volume button however if you will look closer on its top and lower ends you will notice that there are more buttons and those are what ROG called Air Triggers. They are additional buttons that you can use and can act as your L1 and R1 when you are gaming. This is also one of the technologies ASUS/ROG introduced in the Smartphone Industry, but I have yet to experience how accurate it is. You will see one of the Air Triggers just below the noise cancellation mic. 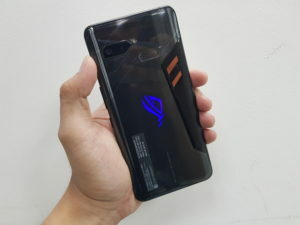 Now among all the features of the ROG Phone, my favorite is actually one of its simplest feature which the other Gaming Phone Brands failed to do. That is to have an ergonomically designed port for Landscape Gaming, c'mon most of the Mobile Games need to be played in landscape right? 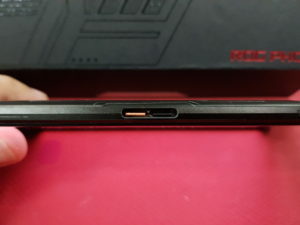 Now, most of us experienced that scenario that you will have the Red Alert Notification about your battery juice in the middle of the game, thus we are forced to play while our phone is connected to the power outlet. Just imagine how uncomfortable it is playing while having a cable in between your fingers? Oh, what if you also need to plug in your headset to avoid noise? That’s double the hassle. Finally, ROG managed to give a resolution thru their special type C port. 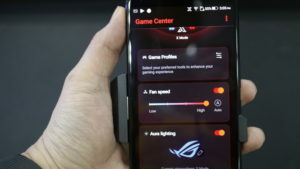 This is also where you will connect your ROG accessories like the AeroActive Cooler, which is an external fan for your Smartphone. This simple feature is definitely a big plus for the ROG Phone. 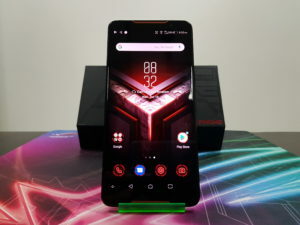 Now among all the features of the ROG Phone, my favorite is actually one of its simplest features which the other Gaming Phone Brands failed to do. And that is to have ergonomically designed ports for Landscape Gaming. Most of us experience that scenario that you will have the Red Alert Notification regarding your battery juice in the middle of the game, thus we are forced to play while our phone is connected to the power outlet. Just imagine how uncomfortable it is? Oh, what if you also need to plug in your headset to avoid noise? That’s double the hassle. 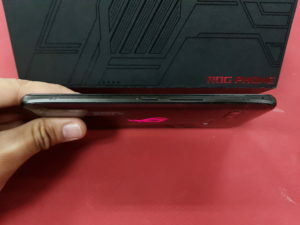 Finally, ROG managed to give a resolution thru their special type C port where. This is also where you will connect your ROG accessories like the AeroActive Cooler, which is an external fan for your Smartphone. 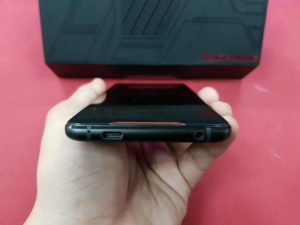 Aside from the special type C port, you can also locate the third Air Trigger of your ROG Smartphone. 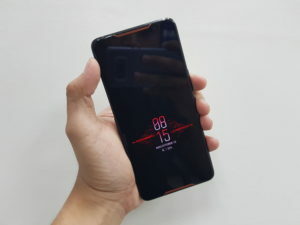 For sure what you want to hear now is the price, is it possible for this Gaming Smartphone to be affordable? Like you, we are also very excited, so let's join ROG as they will officially announce the price of this phone this Sunday at the ESGS 2018.